For three centuries, copper and bronze coins of small value were mainstays in the commerce of Britain. The traditional pound sterling’s value of 240 pence resulted in numerous and peculiar divisions such as 12 pence to the shilling and 20 shillings to the pound. The basic silver coin of England was the 12-pence piece or shilling, of which 20 were equal to a pound. 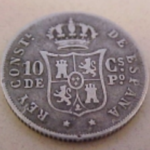 Other fractional silver coins included the sixpence, the fourpence or groat, the threepence, the twopence and the penny. From the first issue of guineas in 1663 to the last issue of sovereigns minted in 1925. 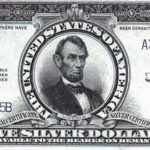 The history of coinage in Canada during the first half of the 19th Century closely parallels that of the United States of America during the 18th Century. Between 1861 and 1949, when Newfoundland, the last of the independent provinces joined the Canadian Confederation, a rich series of coins was produced for use in these individual regions. 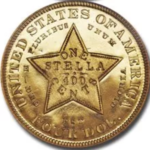 A series of laws enacted during the 1850s established a monetary unit for the Province of Canada which was based on the gold dollar of the United States of America. Like that of the USA, Canada’s dollar was divided into 100 cents. At no time in Canada’s history has gold formed a significant portion of the coins actually circulating. Nonetheless, there were brief periods that saw the use of gold pieces as a circulating medium, and the various types form a fascinating historical heritage. The Hawaiian coinage system provided for a unit known as the dala, which was based on the American dollar. The dala was divided into 100 keneta, or cents. The establishment of civilian authority in the Philippines under sovereignty of the United States required a workable coinage system. 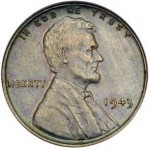 A solution was found with the introduction of a hybrid coinage in 1903. Until it was dissolved in 1902 following the Anglo-Boer War with Great Britain, the Zuid-Afrikaansche Republiek (ZAR) produced a rich array of coins and banknotes. Perhaps the most appealing of the coins were the gold pieces. The gold and silver coins of Spain played a crucial role in the commerce of England’s North American colonies for many years. 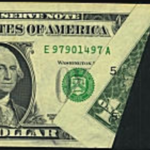 After the United States declared itself independent of Britain in 1776, the “Spanish Milled Dollar” and its fractions remained the principal currency in everyday circulation. An in-depth and fascinating review of the subject by Canadian Professor Jean-Phillipe Fontanille.